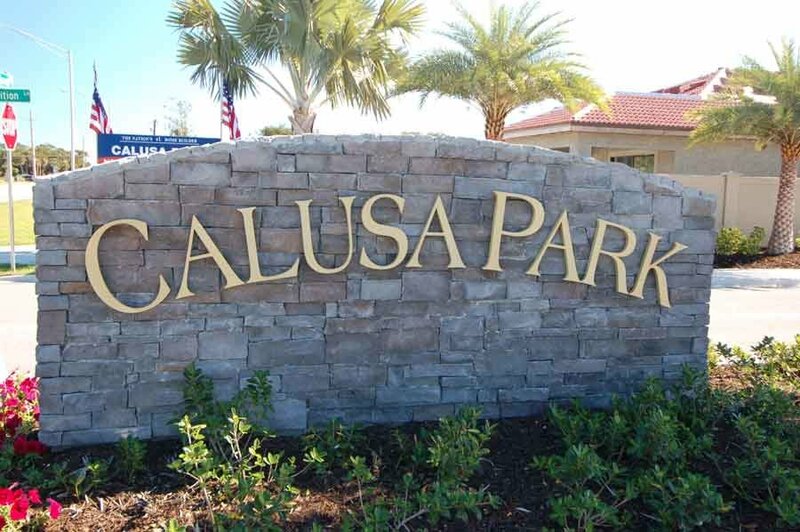 Calusa Park is a community of 88 single family homes in Nokomis, Florida. The community is built by D.R. Horton. It is located minutes to the Venice Jetties, Nokomis Beach, waterfront dining, tiki bars, and golf courses. The Homeowners Association fee for 2018 is $583. per quarter but should always be verified through the HOA. Models available include the Pembroke, Edison, Bedford, Ellington, and Silverton. Nokomis, Florida has a relaxed lifestyle. You can start the day off with a round of golf on one of many local courses or hit the water for a day of boating and fishing. Nokomis is located along the Intracoastal Waterway and has direct access to the Gulf of Mexico through the Venice Jetties. Nokomis beach is a favorite for locals and tourists. The infamous Nokomis Drum Circle draws hundreds on their weekly celebration. Calusa Park is located at 647 Resolute Way, Nokomis, Florida 34275. From I-75 and Laurel Road, proceed west approximately 3 miles.